Most of the features on Qustody can be found described on this page. If you have any further questions, please don't hesitate to contact us. Each person that spends time with your child is considered a Care Giver. When you define a Care Giver on Qustody you are defining somebody who cares for your child. For example, you have your childs Father and Mother as well as maybe Grandparents or a Nanny. Either way it is important to know that Care Givers are essential in setting up Quick Days (see below) as each segment of time in a Quick Day will be assigned to a Care Giver. Essentially the childern are cared for by a Care Giver during a segment of time on a Quick Day. If you have your kids all day on certain days, then you would have a quick day with 1 segment assigned to you that starts at 12:00 am and ends at Midnight. If you drop off your kids at noon on certian days you would have a Quick Day with 2 segments. The first is assigned to you (12:00 am to Noon) and the second is assigned to Parent 2 (Noon to Midnight). You can have up to three segments in a day (i.e. 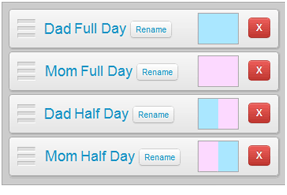 You -> Grandparetns -> Parent 2) but remember that Quick Days are basically templates for you to insert in to calendar. You can copy and paste full weeks to make time segments easier to enter. You can fill time in advance to plan for upcoming events. 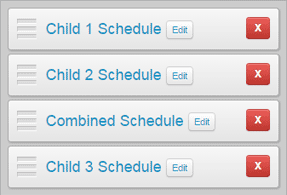 In most cases, your child schedules will only need to be tracked on one calendar but, if you have a situation where you would like to track each of your children separately, you can! 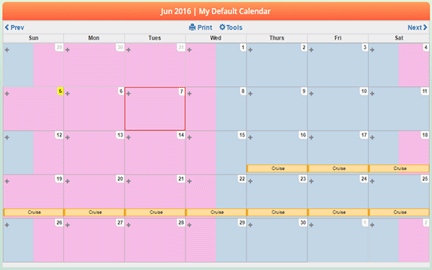 In Qustody, all you have to do is add a new calendar and you can track schedules independently. It takes more time to track the calendars separately, so if you can, keep them together. If you need a new calendar, just go to the calendar section in your account and set it up! Do you want to allow other people to view and modify the calendar? 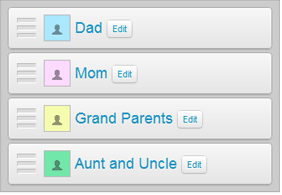 Now you can create guest accounts for the people in your life that need to view and possibly modify your calendar times. All you need to do is create a guest account using the persons email address and assign a password. Once you give them their login information, they can log in! You can create as many users as you like. 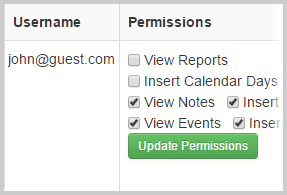 You can define the guest account permission to keep your calendar data safe!